The fascinating history of the only 20th century Swiss porcelain factory began in 1906 in the Bernese town of Langenthal. 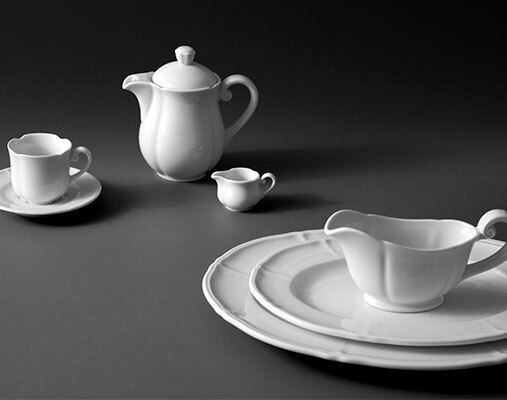 The porcelain manufactory Langenthal SA became noted for its cutting-edge technology, the diversity of its products as well as the quality of its porcelain. The artistic output followed the dominant aesthetic currents of the century while still preserving its local character. Today, the range of products offered by the manufactory and made in the Czech Republic is mainly targeted at hotels and restaurants and responds to the contemporary taste for stylised forms and minimalist designs.